We all love pre-workouts. At least many of us who’ve tried them do, mostly for its function rather than for its taste, however the flavour of a pre-workout does make a difference. After all, no one wants to be stuck drinking half a litre of cringe worthy liquid before their workouts or training sessions. So, to save you time and money, we’ve decided to put up the definitive list (so far) of the top 10 best tasting pre-workouts currently available in no particular order. By far the best tasting and most popular pre-workout supplement around, Cellucor have created a supplement that is not only functional but tastes delicious. With a huge range of flavours and exclusive flavours coming out all the time, C4 will cater to even the fussiest of tasters. Perhaps not the most traditional “pre-workout”, it is still definitely a supplement that can be used prior to your workouts to provide you with a boost in energy, slow down muscle breakdown and support muscle building during your workouts. 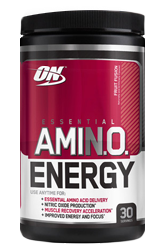 Amino Energy tastes like a strong cordial and you could definitely water it down, but when mixed with cold water, it is one of the most refreshing pre-workout drinks around. 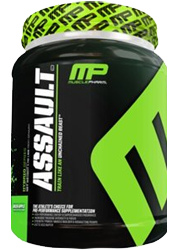 Still one of the most popular pre-workout supplements around, MusclePharm recently reformulated their original version into a more compact variant that still packs quite a punch. Assault is available in 7 flavours, most of which are quite tasty, but its flavour can be on the more concentrated side so it’s best to mix it with a little extra water. The most recent revision of the popular concentrated pre-workout, Mesomorph 2.0 actually improves upon the taste profile of the original Mesomorph. 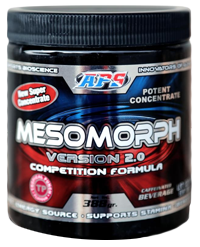 Slightly less potent than the original but still quite a strong product, Mesomorph 2.0 has a strong, but not unpleasant taste. It definitely needs to be cycled through though as the taste can be overwhelming, especially for beginning trainers. But every once in awhile and mixed with cold water, Mesomorph 2.0 is a tasty wake up call. Better known for their intra-workout Xtend, Scivation has recently reformulated their original pre-workout Novem to great success with the recent release of Psycho. A potent formula with a range of excellent ingredients, it is a supplement that works well for both beginner and advanced trainers looking to boost their workout capacity. Although only available in two flavours, both flavours are quite tasty; even fruit punch, which has always been a hit and miss flavour. NO Xplode is one of the most enduring supplements in its category, having been around before pre-workouts were even popular. Still one of the best tasting and most respected non-concentrated pre-workouts, NO Xplode is available in quite an extensive range of flavours; most of which rank consistently high in terms of taste as well as function. 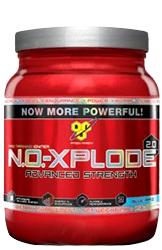 BSN NO Xplode 2.0 is a reliable pre-workout and perfect for the beginner trainer straight to the professional bodybuilder. ProSupps Mr Hyde is one of the best pre-workouts out at the moment, offering one of the most intense energy boosts of any pre-workout. Mr Hyde will eventually be replaced with Hyde V2 or Version 2, however the new formula offers just as much kick as the original and even if this didn’t taste great, it’s definitely a supplement worth getting. Neogenix Thermojet is a relatively unknown pre-workout but one that shouldn’t be overlooked. It offers a gentle, but sustained energy boost and will help you attack your workouts without the crash afterwards. It is also one of the best tasting pre-workouts on the market. One of the best tasting stimulant free pre-workouts. Although it’s only got the one flavour, it’s a delicious and mild mixture with some truly excellent ingredients. 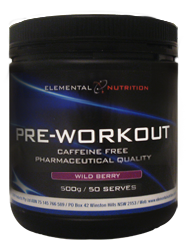 It’s much less sweet than many other pre-workouts, which is excellent especially if you take a range of supplements since they’ll mostly all be on the sweet side. From the makers of BeautyBum, one of the first cellulite toning creams on the Australian market, BeautyFit’s BeautyStrong is the ideal pre-workout for the female trainer offering all you need to get a good workout including energy, pump, focus and strength. BeautyStrong also tastes like a light cordial and will keep you training for hours. These are just some of the pre-workouts available on the market. Most people use pre-workouts more for the effects rather than the taste, but the above list offers the best of both worlds. When choosing a pre-workout, it’s always ideal to pick the ingredients that will suit your needs, but now that you know which ones taste good as well; your choice just got a whole lot easier. 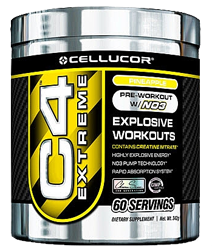 Of all the entries above, Cellucor C4 has consistently been the favourite; so it’s definitely one to try.